People smear each other with colours in open streets, parks, outside temples and buildings. People visit family, friends and foes to throw coloured powder on each other, then share Holi delicacies, food and drinks. 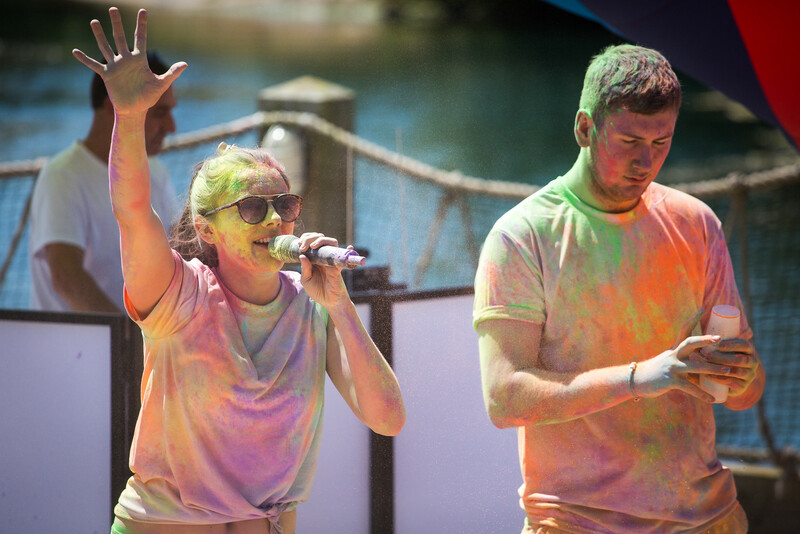 The celebration and feel-good effect of throwing colour, combined with singing and dancing has been embraced around the world and is becoming increasingly popular at events and festivals. 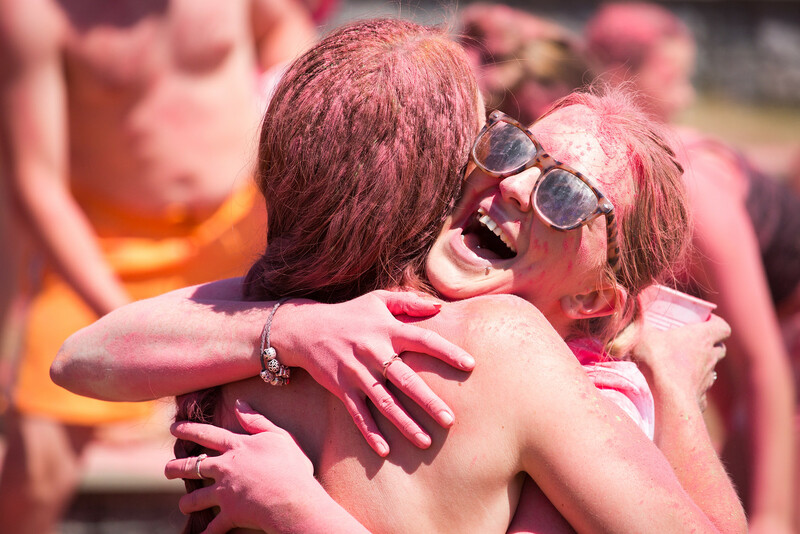 Colour Runs are also growing in popularity and can be found in most global cities each year. The joy and excitement of covering yourself, friends and loved-ones in multiple colours is a unique experience, one to remember and certainly one to share with friends! The weekend centres around the main colour throw event which will happen in the afternoon. Proceedings will begin at midday with a professional DJ welcoming guests and encouraging everyone to get ready. The mood will feel like a street party with a world mix of music such as Bollywood, Latino and of course a mixture of colourful songs such as Purple Rain, Yellow Submarine and Paint it Black. All parks will feature a Caribbean steel band that will play up to three half-hour sets, these will also feature during this initial DJ welcome. Sandy Balls, Mill Rythe and Tattershall will also feature three Bollywood dancers that will perform routines around the main event. You’ll be able to sit around, relax on the grass, dance, enjoy refreshing drinks and tasty food in the area. There will be a main stage area with a DJ located next to a large inflatable rainbow curving overhead playing feel-good music all afternoon. Along the front of the stage will be six barrels of colour powder. So you better get grabbin’ once it’s ready to go! Throughout the night, all indoor entertainment venues will be kitted-out with UV lamps throughout creating an ultraviolet effect on UV sensitive colours, clothing, objects. Guests are encouraged to come along in colourful neon fancy dress and UV face paints as the evening runs with an 80s neon party theme. It promises to be an incredible and unforgettable event and it’s the perfect way to kickstart the summer holidays. Mill Rythe and Sandy Balls will be hosting their Colour Festival a week later so please check the main Colour Festival page for more information on times and dates. Remember, wear white and stay bright! 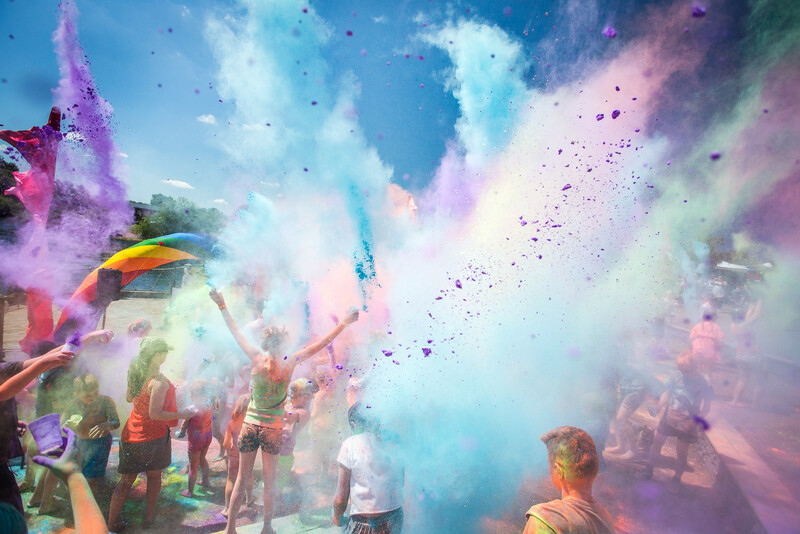 Book your Colour Festival break at any one of our parks* - starting from July 21st.